As the parents of two very active boys with demanding schedules, we needed a family vacation that wouldn’t invite more chaos into our lives. Our rules were simple: We wanted consistent weather, simple travel logistics, a safe and friendly geography, optional activities for the kids, luxe accommodations and absolutely no attitude. It is an understatement when I tell you we struck gold when we found the South Seas Island Resort on Captiva Island off the Gulf Coast of Florida! We flew into Ft. Myers, Florida, which is a good-sized hub with service from every major airline. It was a short flight out of NYC so there was minimum drain on the wife and kids. From the airport, South Seas arranged a car service to pick us up for the 45-minute drive to the Resort. It was seamless and a great way to get out of the gate! From the moment we set foot on the property, the staff was courteous, friendly and incredibly personable. We stayed in an upgraded two-bedroom Beach Villa that was tastefully appointed and well laid out for the family. It had a full kitchen, bedrooms on separate floors, each with their own bathroom, flat screen televisions, a balcony with an exceptional view of the water and a very convenient location on the complex. We were near the check-in, gym, tennis courts, barbeque restaurant and game room. We were also a short walk from the marketplace where there were several stores including a grocery, candy store and Starbucks, which we enjoyed most mornings. Every one of our sun-filled days was well spent thanks to the wonderful advice of Guest Activities Director Rachele Noce. Rachele was a gem who clearly loves her job. At her suggestion, we kayaked with the dolphins and manatees in the mangroves of the resort. We went on an afternoon cruise to see the dolphins in a broader expanse and get a better vantage point of the island itself. We completed a scavenger hunt across the entire resort complex that focused on the more exceptional highlights of the local habitat. It was indeed a treat to see everyone in the family in awe of the wildlife all around them. In fact, we put the boys in Sea School for a few days. The Sea School program offered kids an opportunity to learn about the ecosystem of the island and do it in a very fun and practical way. There was hands-on learning in the ocean and classroom. There were also plenty of games and a tortoise that kept vigilant watch outside the classroom door! The tennis facilities were top notch and we put the boys in a Quickstart clinic with tennis professionals who were attentive and fun. Mom took more than a few lessons and she always returned pleased with the instruction. Courts were easy to schedule and the players themselves were fun to hit with. As for transportation, we rode bikes everywhere and put some mileage on our rented golf cart as well. There wasn’t that much traffic on the island so we felt comfortable in our golf cart or on the bike getting to and from our excursions. When we weren’t on the beach behind our villa, we hopped in our cart to head to the end of the Island and to the main pool complex. This was where you would find the vast majority of the kids, as they all made the pilgrimage for the water slide. The children loved it and the families we met were all of good and friendly Midwestern stock! The Bottom Line: While a resort the size of the South Seas might normally give me pause for fear of being too impersonal and awkward to navigate, our experience was the opposite. We loved the warmth of the staff and the many personal touches they provided. We also loved what it did for us as a family bringing us closer together with each activity! 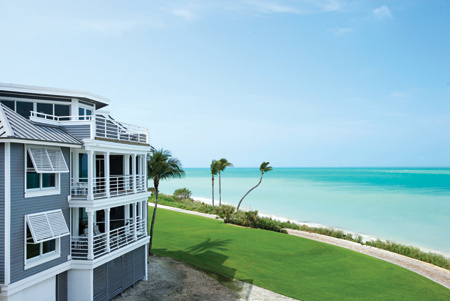 We highly recommend this resort for families that are looking for upscale amenities and quality service with a low-key attitude that suits the vibe of Captiva Island perfectly. 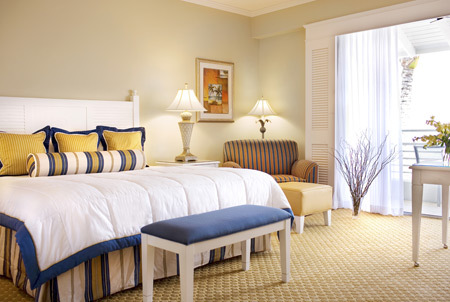 Room rates begin at $369 for a double room in high season (winter) and as low as $185 for a double in the off-season. Ready to book? Contact Poshbrood/SmartFlyer -- we're a full-service travel agency and can get you best room rates, upgrades and added amenities.